It’s only taken 43 years, but THE EAGLES will perform their 1976 album “Hotel California” in its entirety LIVE for the first time. It’ll happen on September 27th and 28th at the MGM Grand Garden Arena in Vegas. Tickets will go on sale on April 12th, starting at $180. The album is only 44 minutes long, so they’ll play some other hits as well. 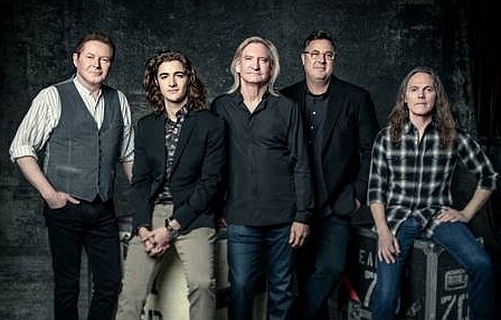 The band will consist of Don Henley, Joe Walsh, and Timothy B. Schmit, plus Vince Gill and Glenn Frey’s son Deacon Frey. They say these are the only two shows they’re doing this year.